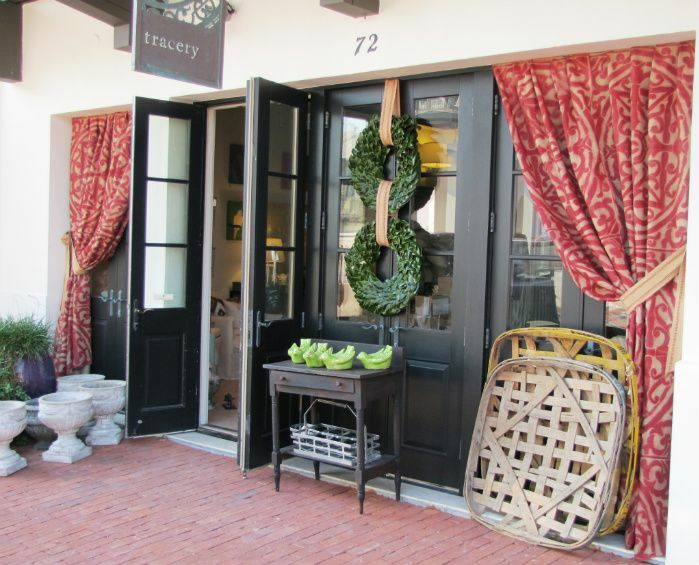 I love that the folks over @ Tracery took a stencil & painted themselves some burlap drapes for the front of their shop. Go here to see more. 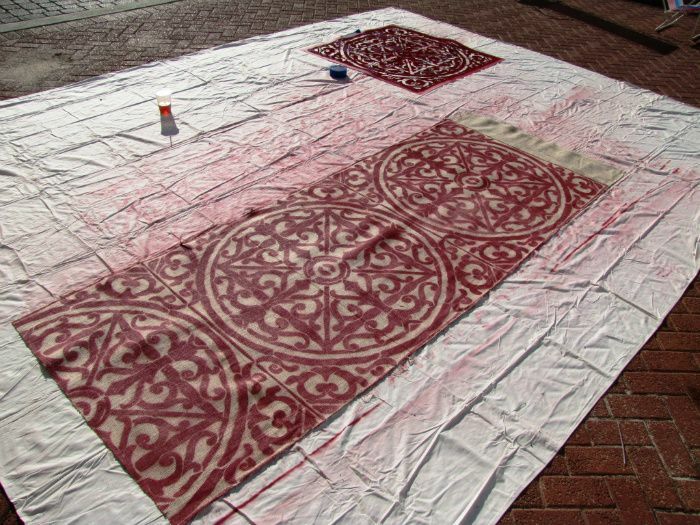 I love them, so gorgeous and I never would have dreamed of painting on burlap, so smart! I am really feeling the burlap drapes over here. I loved it! oh i love and applaud originality.......so i can copy! Wow,these are gorgeous! What a creative idea. OMG!! Love them. I have had burlap drapes in two of my homes and loved them but never thought to paint them!!! These are beautiful. I almost want to paint my drapes now! I adore the double wreaths! What kind of paint did she use? That's such a great idea I love burlap.....but didn't realize you could paint them.....I love reading new ideas everyday on these awesome blogs...thanks!